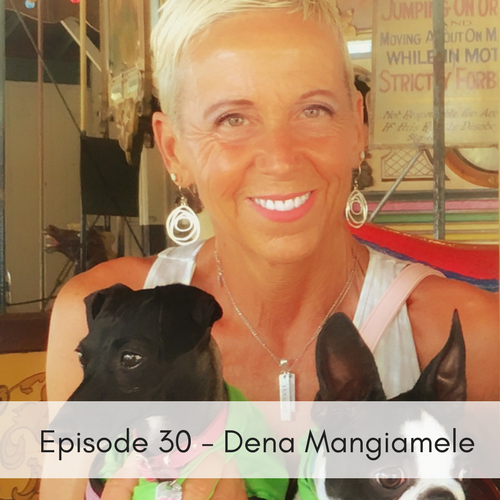 Dr. Dena Mangiamele, is an animal shelter and forensic veterinarian in addition to being a Best Selling Author on Amazon. She received her degree in veterinary medicine from the Ohio State College of Veterinary Medicine, earned her Master’s in Preventive Veterinary Medicine from the University of California, Davis and she was selected as a Preventive Medicine Resident with the California Department of Health Services and a Master’s Degree in Forensic Science which she received from National University. She became the Chief Veterinarian for the City of Los Angeles Department of Animal Regulation, and was awarded Shelter Veterinarian of the Year by the American Humane Association. Dr. Dena currently operates a veterinary consulting business and created a training division that provides classes for animal shelter employees on animal handling, medical care, and humane euthanasia, classes for animal control officers and veterinary medical staff on conducting circus inspections and dog fighting investigations. Dr. Dena is a vegan athlete with great interest in nutrition and fitness. She lives in San Diego with her husband (also a veterinarian) and their dogs. Dr. Dena is a best selling author of the book “Stray”, and is getting ready to release a book called Dena’s Fuel For Fitness, on how to transform easily to a plant-based lifestyle which protects the animals, the environment, and enhances personal longevity.